Amaze your friends! Learn to sew! Visit the stars! Rearrange Beatles songs! All these journeys and more are vicariously yours in the pages of Fortune Cookies, a collection of comics about what it means to seek your fortune. Nick Thorkelson's "A Better World Is Possible" and Susan Rice's "Theatre On Wheels" give personal accounts of the westward migrations of the '60s and '70s, while shorter pieces by Thorkelson, Rice, Leonard Rifas and Jen Flores fill in the blanks concerning all the hopeful and depressing and ridiculous bits and pieces of that fortune-seeking itch and scratch. Will the new New Orleans be lifelike? When we decided to call this collection "Fortune Cookies," we were thinking along the lines of all those intrepid folk heroes like Puss 'n Boots or Jack & the Beanstalk, recklessly "seeking their fortunes" whatever that may entail. 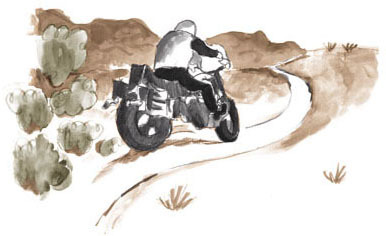 When we set out on our journeys (the stories here are mostly autobiographical), it is not as if we were pursuing a concrete vision of the future, but we understood that we had to leave our various comfort zones if we were going to find whatever freedom or pleasure or revelation was out there for us. Why "cookies"? 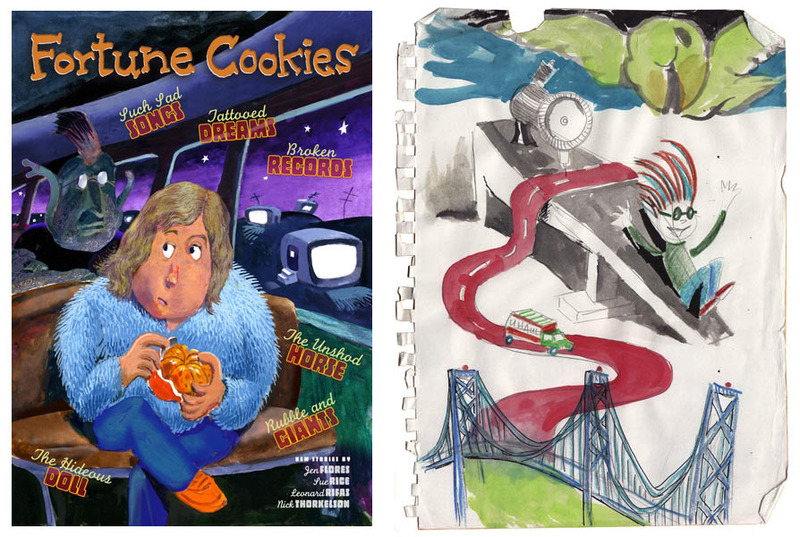 The cookie means that the journey is the fortune -- it's the sweet part. As for the actual destination, the person you become after all is said and done, that's OK too (or not). In one of his early comics called "I Wanna Go Home," Robert Crumb put it like this: "You're probably going to get there anyway." 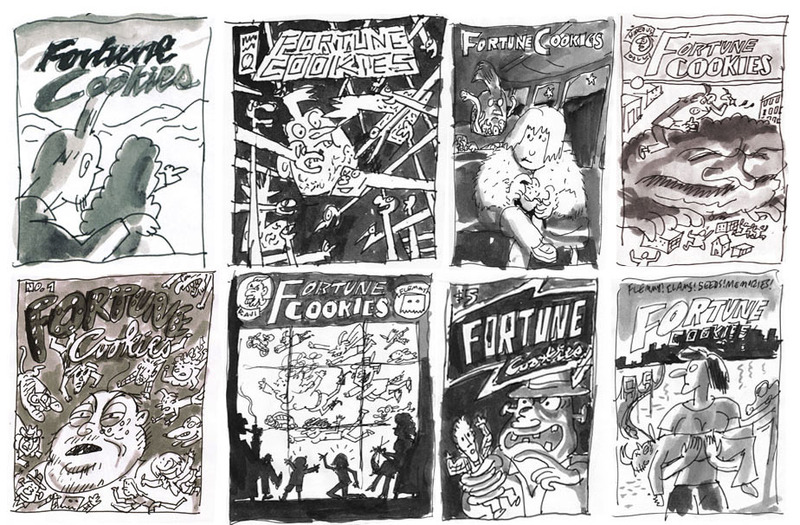 Here is the cover of Fortune Cookies, along with preliminary drawings: a jamming/brainstorming sketch in color by Sue and Nick, and several ink-and-wash sketches by Nick. The ink-and-wash ones are all pastiches of old comic book and pulp magazine covers from the 1930s-60s.